We are delight to announce the launch of Revamped Tringgr Engage a real-time customer engagement tool for consumer facing business. From last few weeks, Tringgr Team was working behind the scene so that we can build a product that reflects our design trends, quality and worth of TringgrEngage. At first, you will notice a complete user Interface change. The credit goes to our Tringgr Team, who worked really hard to make this look clean and refresh. Although, you can choose the color to match it with the website color. 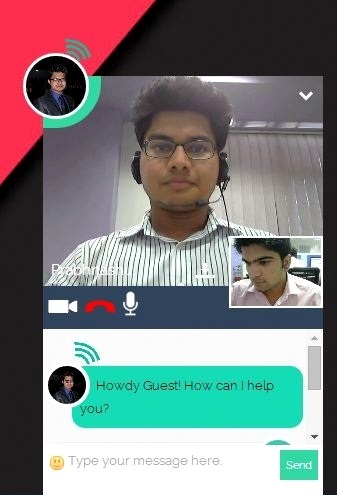 We have also seen improvement in our video calling quality and we are trying to make it best Webrtc solution available. We want to take a customer interaction to a new level, where things are more interactive and real from business point of view. Customer can get insights of product features with just a click” adds Sushant Pandey. 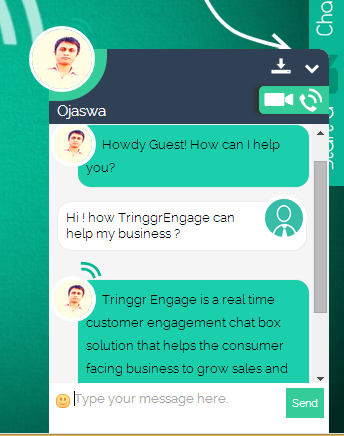 Tringgr Engage is a real time customer engagement chat box solution that helps the consumer facing business to grow sales and serves their website visitors in a better way, thus help them in elevate the customer experience via Video, Voice and Chat support. TringgrEngage seamlessly connects customers to enterprises anytime and anywhere from desktop driving consistent interactions across multiple channels. As a result, companies can provide superior service, form closer relationships, and meet customers’ needs at their point of buying intent. With TringgrEngage You can use video chat to interact with your customer. Come closer to your customer- communicate with them. Show off your products, solver customer queries right away and in return increase sales and enhance customer experience. 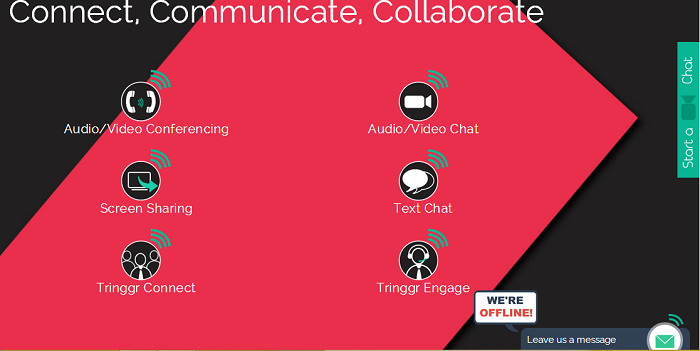 Tringgr Engage operates in Two mode- Online and Offline. Online Mode– when agent is there to communicate with the website visitor. There visitor have the option to use voice, video and text as the preferred communication platform. In the Offline Mode– Website visitor can send a message to the company admin, by simply filling the form and some information. Tringgr Engage in the offline state. In the offline state, website visitor can use a form to sent a message. Tick Mark is displayed when message is sent to company admin. TringgrEngage is a proactive customer engagement tool for consumer facing business that helps your business to manage your customer in an efficient manner. So, if you are looking for a magic wand that takes your website visitor experience to the next level, TringgrEngage is for you. The best thing that makes it special is you does not need to install anything. Just add a few lines of Java-script code and amaze your website visitor. With Tringgr Engage connect more and sell more.